Namgyal Rinpoche was born in Toronto, Canada, to parents of Irish-Scottish descent. After attending a Christian seminary College and participating in politics, he travelled to England where he pursued his interest in the sciences and arts, especially modern psychology and metaphysics. In the late 1950's, he travelled to Bodh Gaya and Burma where he was ordained and given the name of Ananda Bodhi. After intensive meditation in Burma, Thailand and Sri Lanka, he received the title Acariya. Invited by the English Sangha Trust to teach, he returned to England in 1962 and while there, founded several retreat centres. 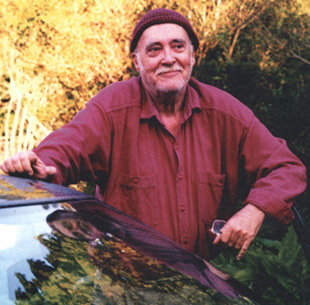 He returned to Canada in 1965 and a year later, with a group of students, established the Dharma centre of Canada, a study and meditation centre near Kinmount, Ontario. For the next five years, Rinpoche taught in Canada, mostly in Toronto and at the Dharma Centre. During this period he also travelled abroad, accompanied by many of his students. During visits to the principal Tibetan monasteries in India and Sikkim, he met H.H. the Dalai Lama and H. H. the XVIth Karmapa, who recognising him as fully enlightened, had him enthroned. Namgyal Rinpoche's dedication to the liberation of all that live, along with his interest in all formations (including this planet and its flora and fauna) was as tireless as it is vast. A master of Mahamudra, he was unique in his ability to encompass and bridge the traditional methods of Buddhism and eastern forms of unfoldment and transmit the path of awakening in universal terms according to beings' interest and proclivities. Rinpoche traveled throughout the world giving teaching, most frequently at centres established by his students in North and Central America, Great Britain, Europe, New Zealand and Australia. Rinpoche passed away on October 22nd 2003. See the farewell page. When the new building is completed at Chyan, Steph hope to run some sessions at the weekend, where we can do sitting and walking meditation outside too - weather permitting!! For directions and any other queries please feel free to ring Stephanie on 07815 801234 or email Stephanie. Jangchoub studied with Namgyal Rinpoché from 1975. 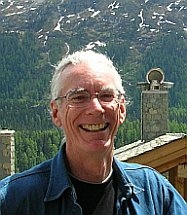 He is a New Zealander by birth and is now living in Drôme-Provençale, France developing the Namgyal Gonpa project. He is giving the evening teaching and the workshop described above. Tarchin has more than 30 years of experience in Theravadin and Mahayana schools of Buddhism and was ordained as a monk for 12 years in the Tibetan tradition. Tarchin's way of teaching is thoroughly non-sectarian and universal in nature. 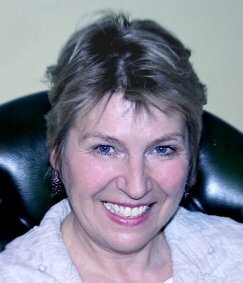 Bringing together a wonderful balance of humour and seriousness, eclectic experimentation and classical tradition, Tarchin's teachings have inspired a vast range of people, from those who are new to the spiritual life, all the way through to people who are themselves already competent teachers of various different traditions. Steph and Brett Jackson host this outdoor family-friendly event annually. This is a gathering for everyone who enjoys yoga, bodywork and community, people who have a commitment to living mindfully on the planet and those of us who love to camp out and for Diggers and Dreamers. Further details.